Hot on the heels of today’s earlier announcement, here are the winners of the different WOVEMBER WAL prizes! 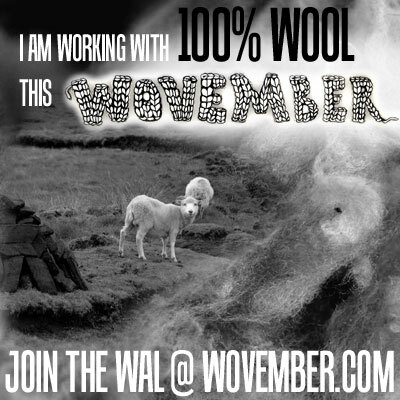 The ‘prizes’ are a selection of wool-covered brooches created by me to commemorate WOVEMBER, plus a sheepy card, and everlasting fortune and glory on this blog. The winners in the different categories are as follow. 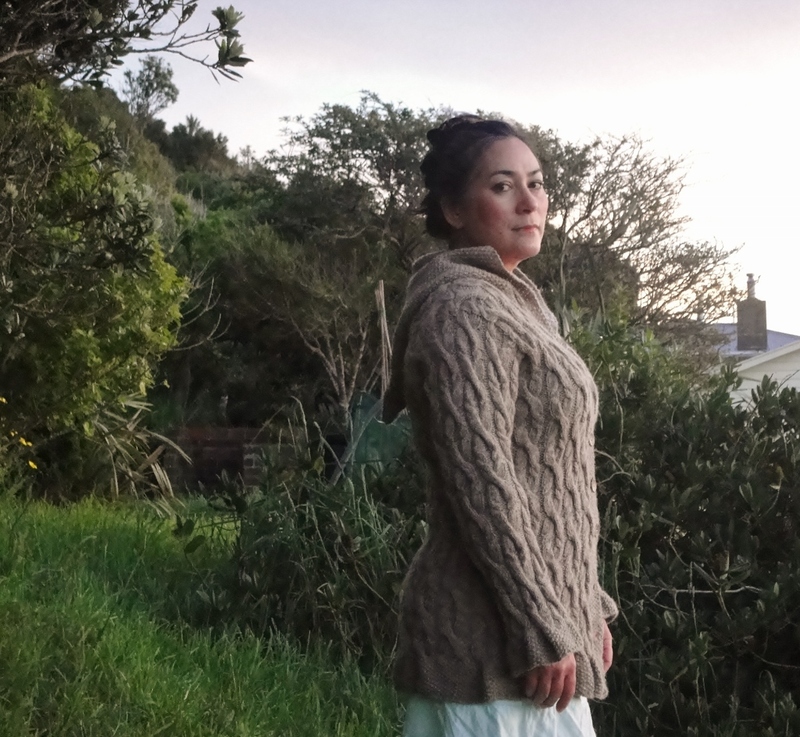 It is knitted in pure New Zealand Corriedale wool yarn. 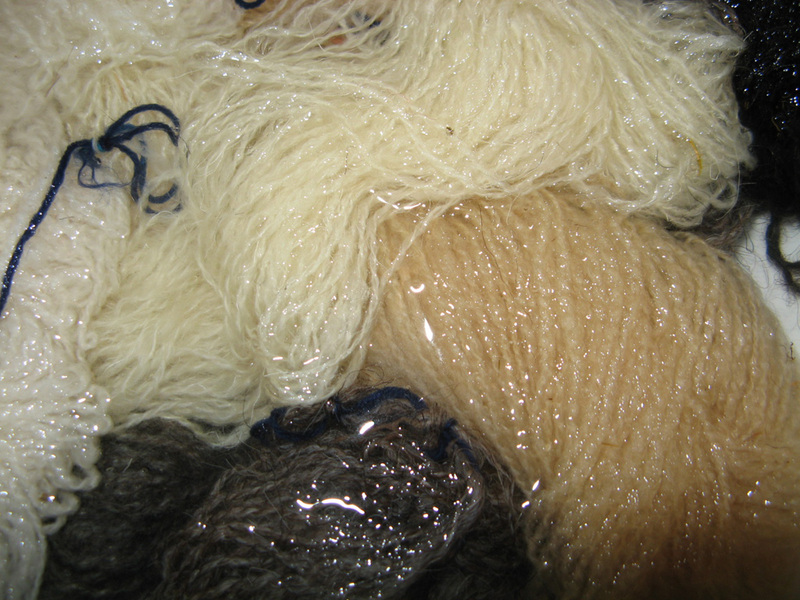 The sheep are farmed by Anna Gratton, who also processes and spins the wool into yarn in her mill on her farm in Feilding. Incidentally, at least one of the shearers is also a woman! I thought this project encapsulated the spirit of the hoodie very well in supporting a local shepherdess and wool producer. 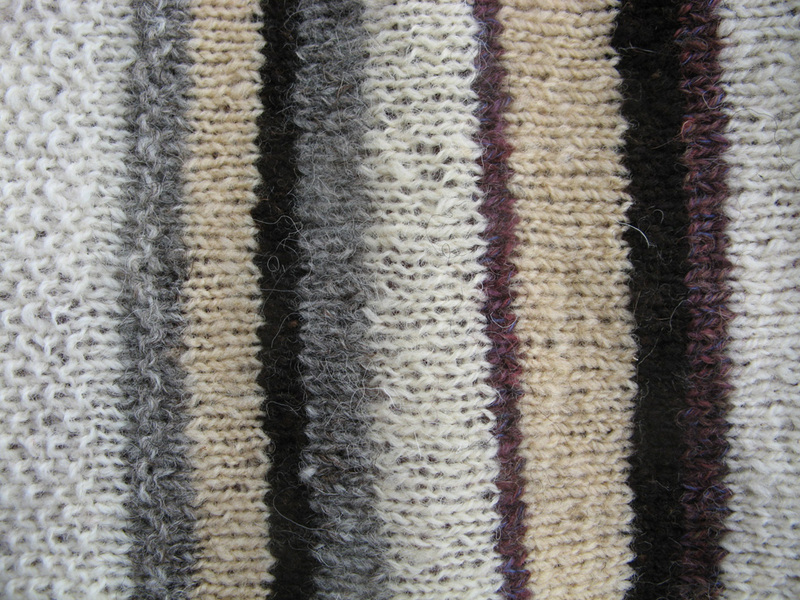 All my favourite projects are knitted in this yarn – it is very durable very, very, comfortable and cosy to wear. Hurrah! Well done for bagging the Golden Fleece award, Wei! 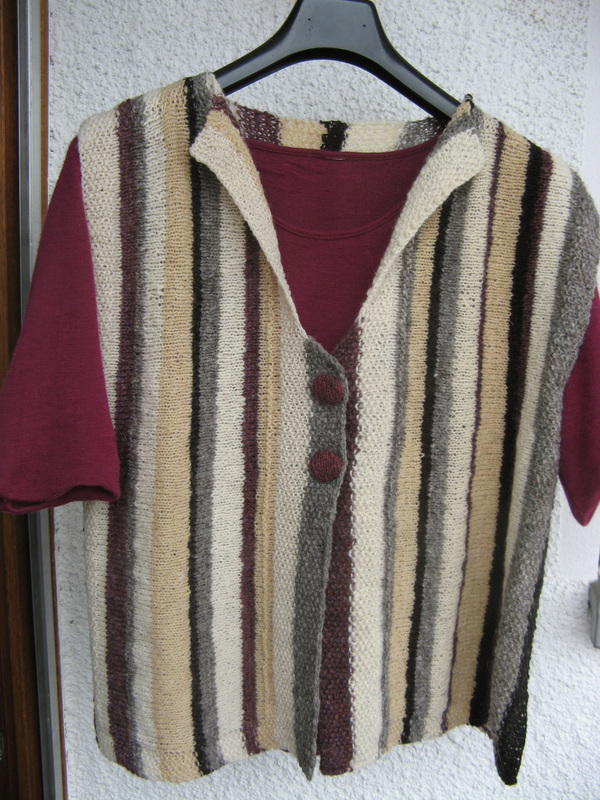 In the Sheepy Rainbow category, we have Beate’s beautiful vest. 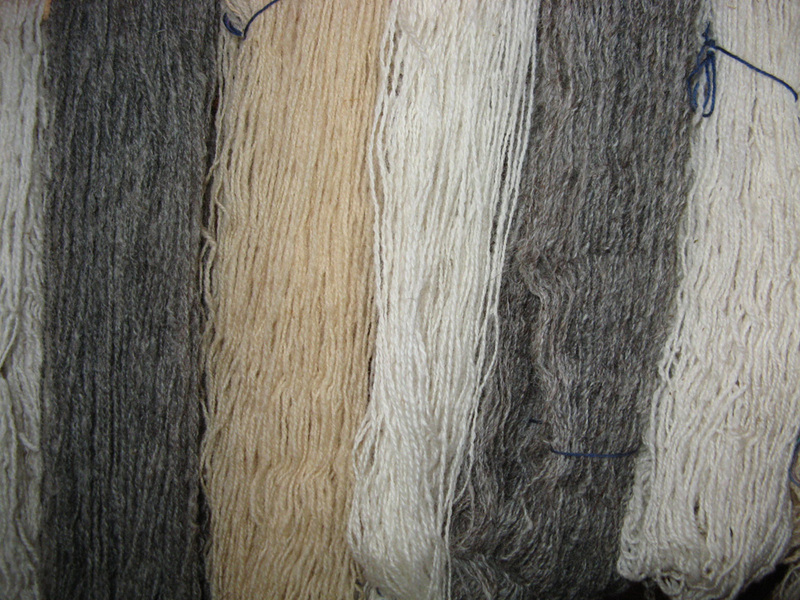 It was quite an experience to work with such a variety of different wool types. I found that I had to avoid working edges with “Alpines Steinschaf” and “Waldschaf” which are the most primary breeds which I used because their wool is less elastic than all the others. All colours are natural 2ply yarns with the exception of one: the stripes in “heather” is a dyed 3ply yarn from my favourite sheep “Mia” which is a crossbred between Merino Landschaf and Bergschaf (Mountain Sheep). I am happy that I managed to finish the vest in time though I am a bit sad that the project is over now. I took the idea for my vest from the book “The twisted sisters”. Congratulations on winning the Sheepy Rainbow award for celebrating the colourful opportunities presented by the fleece of the sheep. 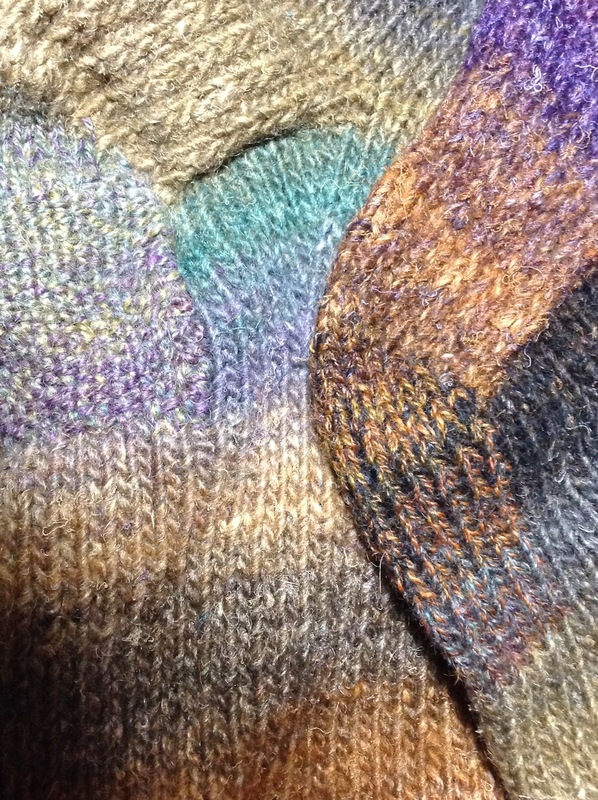 Finally, last but by no means least, we come to the Ewe-sain Bolt award in the WOVEMBER WAL, which is awarded to Cecilia Hewett for her lightning fast and super neat and tidy shiny darns in handspun. 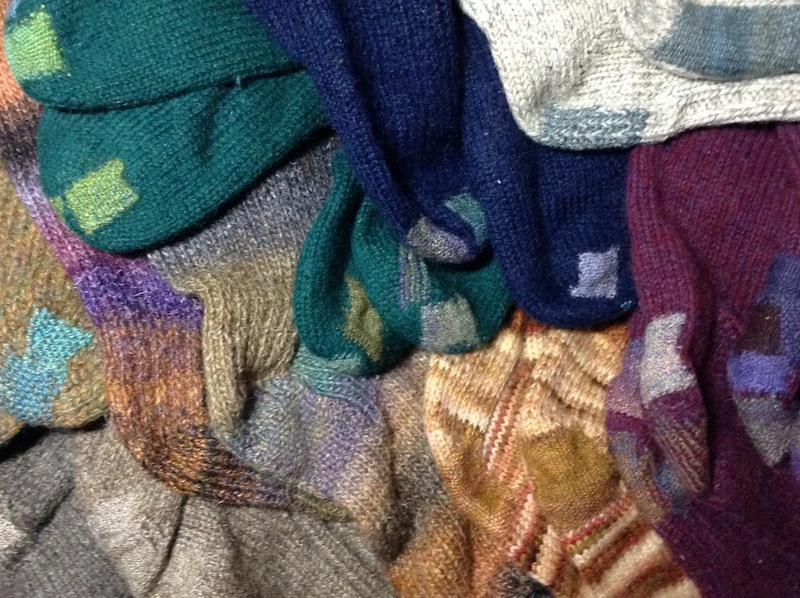 It seems Cecilia revived her entire sock drawer in the course of WOVEMBER and we love the new look that old socks have been given through this burst of darning activity. …this is my favourite darn. 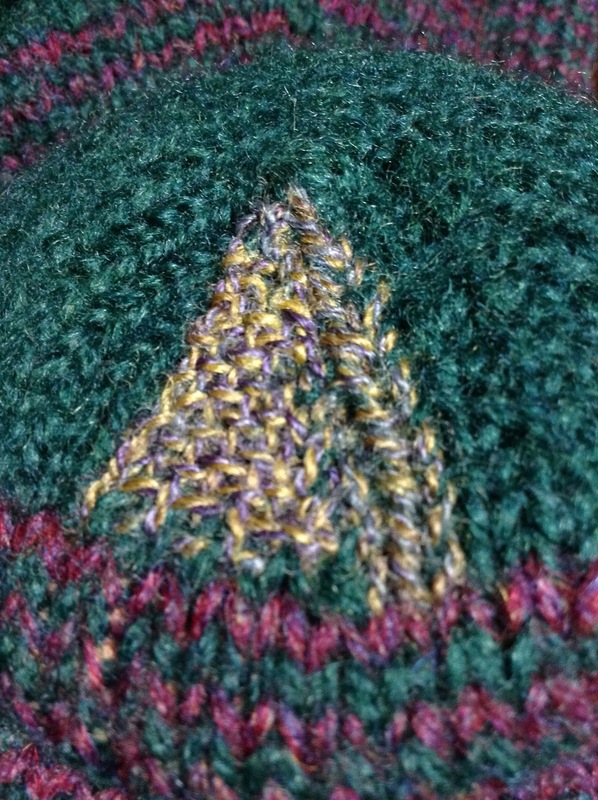 I love the little triangle! Congratulations on your new/old socks, Cecilia and thanks to everyone who participated in the WAL. It was lovely to wool along with you; a big shout out to all in the WOVEMBER Ravelry group who have been making things with wool this month, and to all the folk sewing and weaving and mending and felting and knitting and crocheting and working with WOOL. 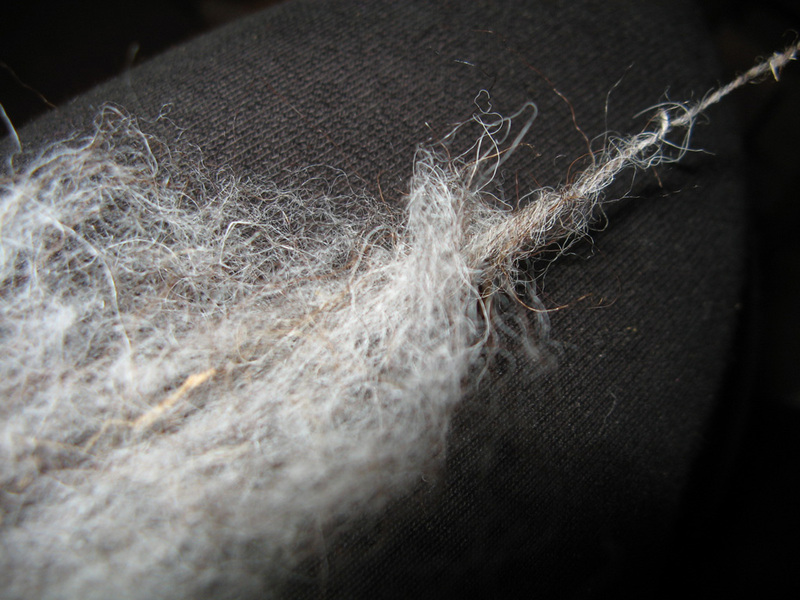 PLUS a turbo big shout out to all the shepherds and shearers and spinners and scourers and winders and skeiners who give us this marvelous material to work with… there’s really nothing like WOOL: Let’s do this all again next year… who’s in?